We guarantee all maps for one year, if you make changes to your bike during that time we will remap it for half price. 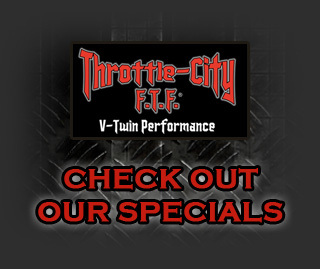 We also double the manufacturers warranty on all EFI modules (except Super Tuner) sold & tuned at Throttle-City! 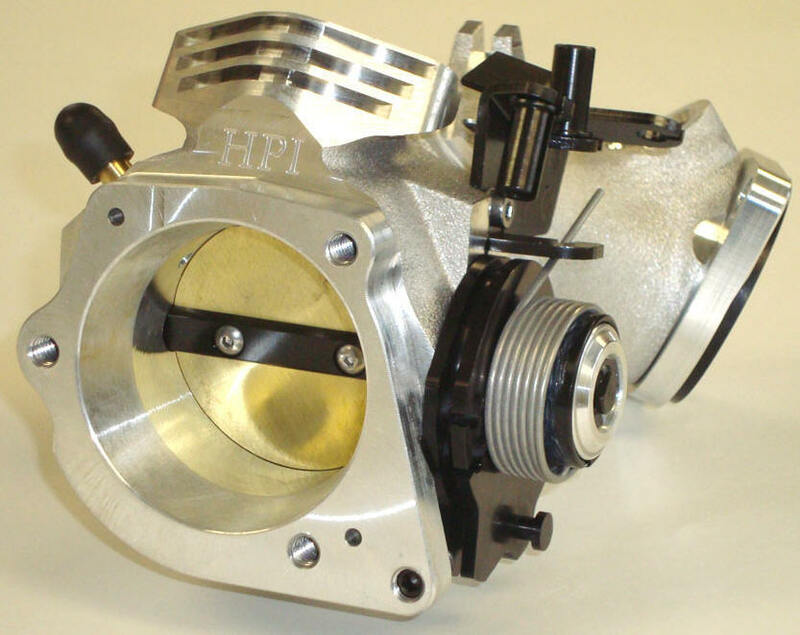 The original Big Bore throttle body! These units are designed, tested and re-tested to supply unmatched quality airflow to achieve maximum horsepower and torque gain. We’ve tried them all, these are the best! 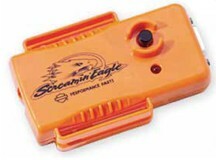 Compatible with all OEM factory components. Each unit is supplied with intake flanges for use on present or past heads. Made in the USA. These high volume injectors deliver enough fuel to handle even the largest displacement street engines. 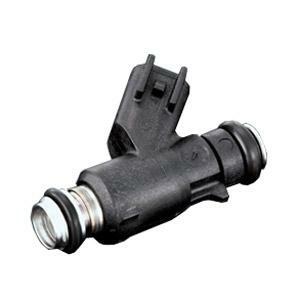 Superior fuel distribution results in increased power output. Recommended for applications producing well over 100 horsepower. Sold in Pairs. 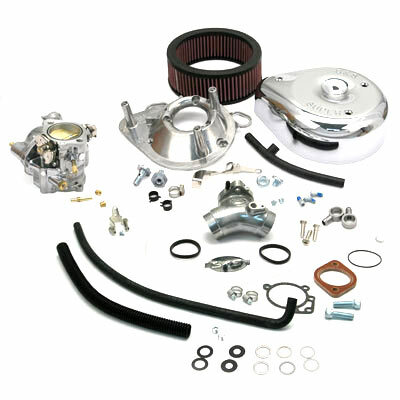 Each carb kit includes everything needed to complete installation. Hi-Flow petcock recommended. Made in the USA. 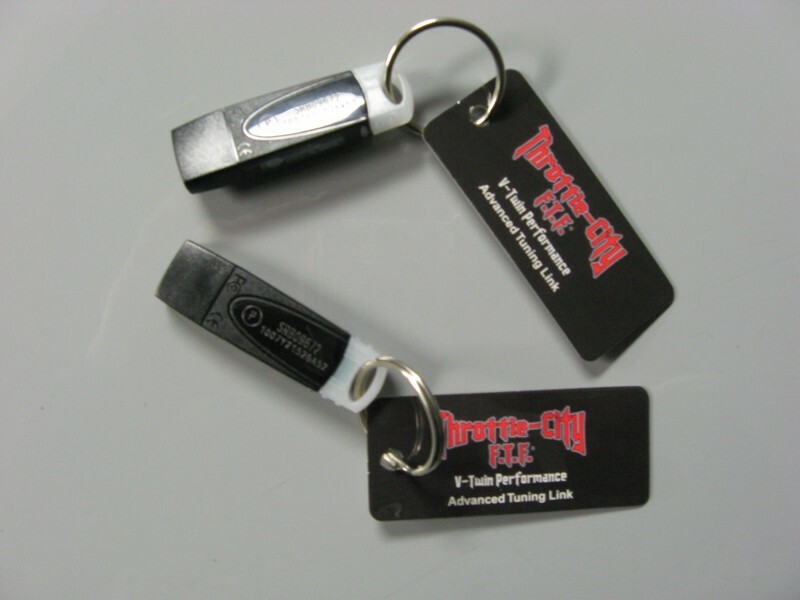 Throttle-City is an authorized S&S dealer. Call for availability & pricing on parts not listed above. 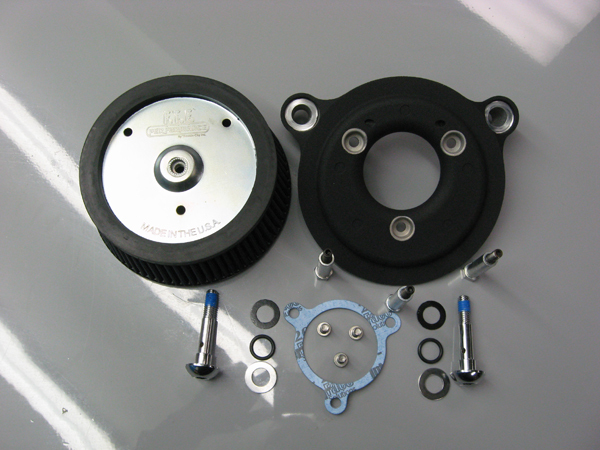 These affordable Hi-Flow air cleaner kits are assembled from some of the highest quality American made components in the industry. Featuring S.E. 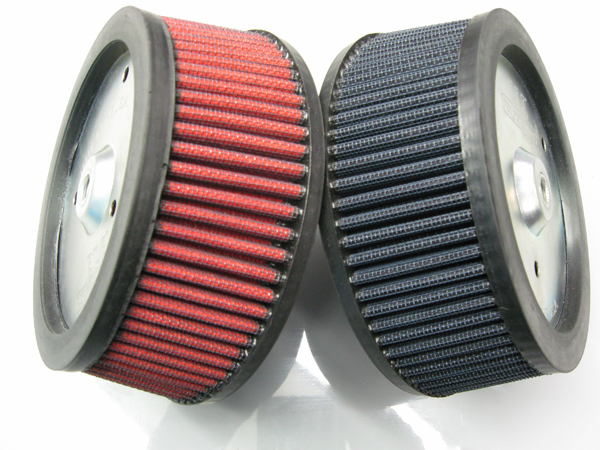 perfect fit backing plates & a cleanable filter element with a lifetime warranty! 100% satisfaction guaranteed. Available in chrome or black finish with red or black filter. We also sell air cleaners from other manufactures. Call for great pricing!